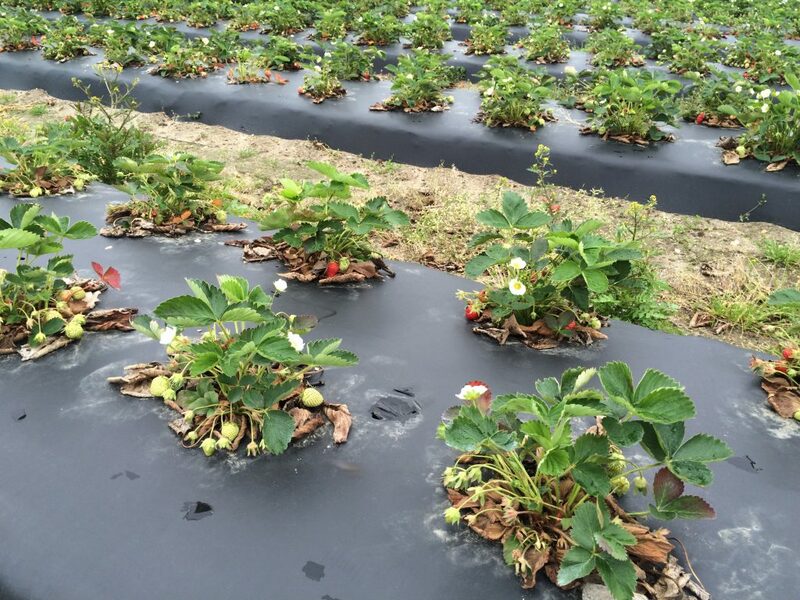 This week a grower called to report an area of stunted strawberry plants, first noticed after removal of the row covers in April. There may have been overwatering on occasion. If you read the 2016 Commercial Vegetable Production Recommendations, you’ve seen the page, Diagnosing Vegetable Crop Problems (A27). Stepping through the diagnostic process with a grower is mutually satisfying – there’s nothing better than getting to the root of a problem so it can be minimized or avoided altogether in the future. The process involves tracing the history of the field and the development of the problem, then closely examining the soil and plants. 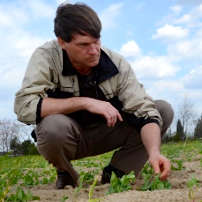 Our grower said that the field previously had summer cover crop, which was tilled under while green. A couple of weeks later, raised beds were made with plastic mulch applied. The strawberry plugs were set into the beds in late summer. The growth differences that caused him to call weren’t noticed until after the row covers were removed in April. Hayrides are a popular activity for agritourism operations and a marketing attraction for pick-your-own farms. While the farmer, their family, and experienced employees are familiar with the hazards that come along with being around farm equipment, the general public is not. With proper planning and management, using a tractor and wagon to transport guests can be a safe activity. 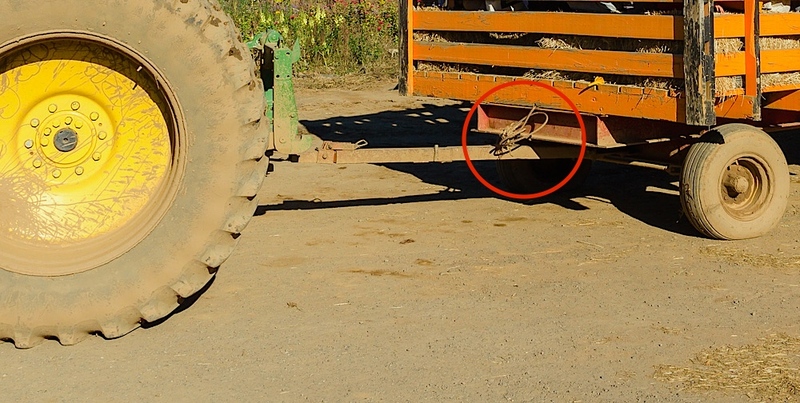 Check wagon safety chain/cable connection to tractor before every run. 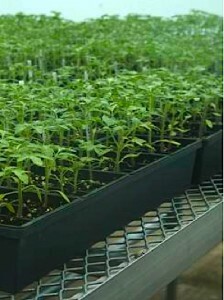 Spring weather is finally breaking and vegetable transplants are being readied for field planting. 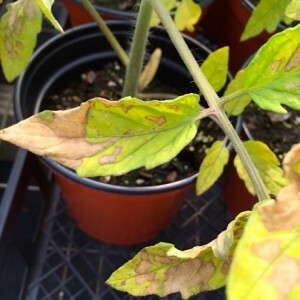 We received a grower’s call about a leaf abnormality in some greenhouse grown tomato plants. “The transplant tomatoes I’ve got hardened off, ready to go in the field have dead spots on the leaves. 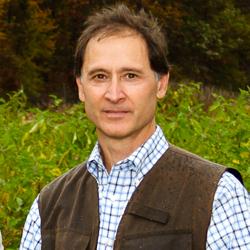 Last month at a growers meeting, a farmer remarked how calling his county agent out to the farm, more often than not, turned out to be a “walk of doom” because the agent always found problems he didn’t even know he had. The farmer is actually happy about this – it means he gets the jump on problems before they get out of control. 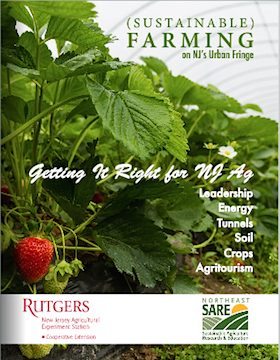 This week’s farm call from a south Jersey grower reminds us why there’s no substitute for agents in the field. Can you come take a look at my tomatoes? 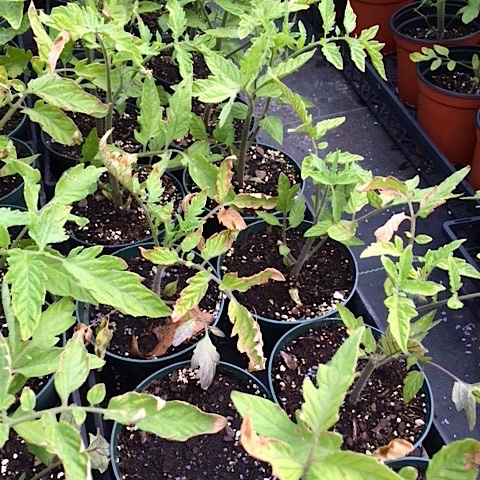 They’re still in the greenhouse due to the cold temperatures and I’m seeing some wilt. The roots are turning light brown with the outer sheath sliding off.